Home Actors Jorge Garcia – Bio, Wife, Net Worth, Facts, Where is He Now? The American actor Jorge Garcia is one actor who you can say is everywhere in the entertainment industry. His entertaining nature seemed to be one of the best parts of him that have helped in his rise to fame. Jorge first drew the attention of the public to himself when he portrayed Hector Lopez the funny but business-minded character in the popular American sitcom, Becker, that aired on CBS. Today, his roles in a good number of award-winning TV series and films have made him a household name. He is best known for playing the role of Hugo “Hurley” Reyes in the CBS TV drama series Lost from 2004 to 2010. While many in the industry worry over the consequences of his overweight, the young hairy and handsome actor capitalizes on it as his trademark in the industry and this has been very beneficial in his fast growth in the world of entertainment. Let’s know some facts about him. The comic actor who is of Cuban and Chilean ethnicity was born on April 28, 1973, in Nebraska’s largest city, Omaha. He is the son of Dora Mesa, a Cuban-born professor, and Humberto Garcia, a Chilean-born doctor. Garcia grew up with his parents in San Juan Capistrano of Orange County, California and he schooled at San Clemente High School. He also attended the University of California Los Angeles and graduated as a Communication Studies major. When he perhaps decided to put his acting and comic part to use he then went to the Beverly Hills Playhouse acting school where he worked on his acting skills. 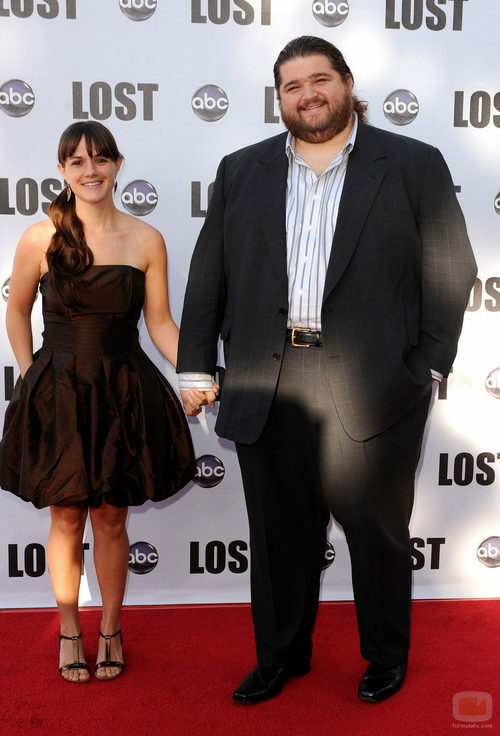 Jorge Garcia’s acting career actually took off with his role as Hugo Reyes (Hurley) in the TV series, Lost. This happened about six years after his active involvement in different commercials and in Borders Books and Music. Thanks to the producers of Lost series who first saw him on Curb Your Enthusiasm just a night before the audition, Garcia became the first actor to be cast in the series. Even before his involvement in the series, Garcia has featured in films like Tales from the Crapper, Our Time Is Up, and on TV series like The Wild Thornberrys, Spin City, and Becker. After appearing in Lost, the Califonia-born actor also landed in several other widely recognized films and TV series like How I Met Your Mother, Californication, Hawaii Five-0, The Ridiculous 6, and Rock Dog, among many others. Garcia is quite private about his love life. However, there is no information about him being married but he has been into a relationship with a number of well attractive young ladies. His first relationship that went public was with Malia Hansen whom he dated between 2004 and 2006. The two remained together until 2007 when he began to date his Lost co-star, Bethany Leigh Shady. The two were seen together on red carpet events and they even had their pictures posted on their various social media platforms. Garcia and Shady remained together as a couple until in 2013 when there were multiple speculations about them breaking up since they were no longer seen together. Neither Jorge Garcia nor Leigh Shady has openly spoken about the matter yet. The actor hasn’t also revealed any plan of settling down in marriage, hence he still single. Having been involved in the entertainment industry since the late ’90s, Jorge Garcia is believed to have garnered so much for himself as net worth. According to Celebrity Net Worth, the actor and comedian has about $5 million as his net worth. He was able to gather such a huge amount for himself through his acting career and partly from his career as a comedian. While at San Clemente High School, Jorge Garcia was a well-known wrestler under the nickname “Baby-Faced Killer.” He was even named as “Triton of the Year,” during his senior years in High school. The award given to him was the highest reserved for any senior. While many think that Garcia’s career may be limited due to his weight, the actor has never seen it as a challenge, instead, he used it to his own advantage. However, there are times where he needed to lose some weight for him to effectively play a role in films. For instance, he kinda lost up to 30 pounds before the series, Lost began. Currently, the actor is an inch taller than 6 feet and his body weight is estimated at 400 lbs. Some sources have it that the actor has been sternly warned to work on his weight or risk falling victim to illnesses like heart disease, Type 2 diabetes, stroke, and heart attack. Jorge Garcia is also a blogger. He owned a blog which he named “Dispatches from the Island.” He was fond of posting much of his thoughts at the time the series, Lost was being filmed. In addition to this, the actor also has his name on CD and video game. His Lost character was animated as part of Ubisoft’s Lost: The Game. After playing a role as Hurley in Lost, Garcia has been in a variety of television shows including Maggie, Bojack Horseman, Alcatraz and Hawaii Five-0. He is currently said to be working on a forthcoming drama When We Were Pirates and thriller Running Out of Time, which will also feature some of his Lost co-stars.